With the full support of the Department of Business Administration faculty, Horn Entrepreneurship’s Vincent Di Felice, Manager of Venture Support, has been awarded a secondary appointment as Assistant Professor of Practice in the Department of Business Administration in the Lerner College of Business and Economics. 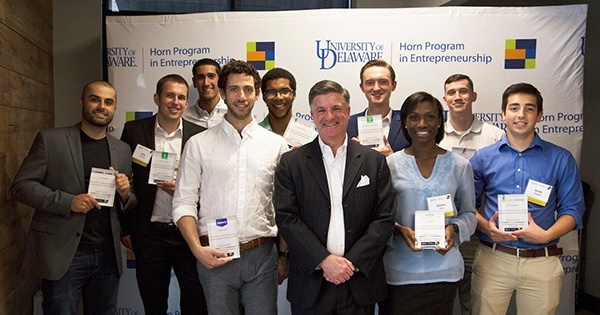 As a leading figure of Horn Entrepreneurship, Vince is supporting nascent student startups and enabling opportunities for student entrepreneurial learning as well as teaching courses in entrepreneurship. He is passionate about creating value, positive change and social impact through entrepreneurship. Before joining Horn Entrepreneurship, Vince enjoyed a 30 year entrepreneurial career which included co-founding an industry leading cybersecurity company, Probaris Technologies, and co-founded a thriving $800M social impact fund, The Reinvestment Fund. Both operate today employing many, generating profit, creating value and social impact. d and later helped the University of Pennsylvania create startups. As a venture capitalist, he launched 6 additional companies. And working for UPenn he spun out 24 more companies. After an entrepreneurial career, culminating with a successful exit from Probaris Technologies, and benefiting significantly from entrepreneurship and empowering others, Vince sought a role in academia to guide others to do the same. "I care most about helping other people succeed. I did so as an entrepreneur and learned that's the key to success for all involved in any venture. I've learned teaching allows me to do that as well. If I could spend the rest of my working days teaching; helping students succeed through learning entrepreneurship, that'd be a real privilege." Di Felice has also been Nominated for an Excellence in Undergraduate Academic Advising and Mentoring Award for 2017. Di Felice would like to thank Dan Freeman, Founding Director of Horn Entrepreneurship for all his support and the Department of Business Administration for their confidence awarding him this secondary faculty appointment.